*Thank you NetGalley for a copy of this book in exchange for an honest review* I loved Tanya Anne Crosby’s book, The Girl Who Stayed! It had every elements to please me! It tells about a family drama, it’s a captivating suspense filled with mystery! This author didn't disappoint me with this touching story, it’s very well written, and also filled with suspense and emotions. Zoe Rutherford wasn't sure what she was expecting when she returned to Sullivan's Island, for her mother's funeral. She is still dealing with the consequences of loosing her sister Hannah, when she was a child. She was ten and her brother six, when their sister disappeared. Now, that both parents are gone, she returns home, where Hannah went missing, to close it down and prepare the house for sale. Her past and memories of Hannah, still haunts her, she wants answers to what really happened to her young sister. What she is about to discover, will change her life forever! Will it have an impact on her personal life? Will it help her to start a new beginning? This thriller-suspense will take you on a roller coaster ride of emotions. Awesome suspense as Zoe revisits her disturbing past and its shadows. Another “girl” in a new book title, and it’s also very good! I discovered Tanya Anne Crosby when she approached me to translate her novels in French. I have so far translated four and am in the process of translating the fifth. 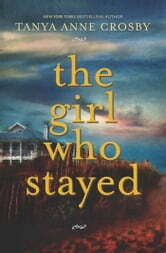 So it was good reading The Girl Who Stayed, just for the fun of it. The book opens indeed on an element reminiscent of Gone Girl, with the disappearance of a young girl (much younger than Amy) in a dysfunctional family. 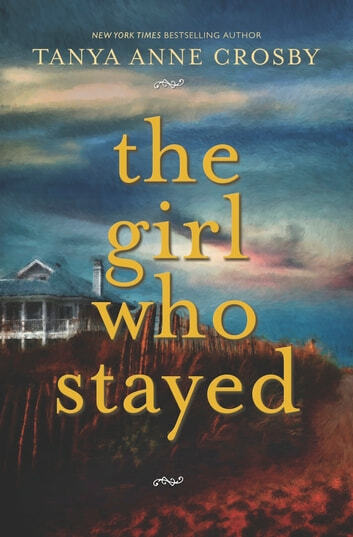 But the neat and spooky descriptions of Sullivan’s Island (near Charleston, SC) made me also think of Kate Morton, especially as Zoe, the main character, goes back to her old family home to try to understand her past and what happened to her younger sister, almost 30 years before. Zoe was 10 when her sister Hannah, 8, disappeared. At 39, Zoe still feels guilty for being alive. Though successful in her profession, she’s a broken woman, after a tough childhood and a crazy boyfriend whose anger only matched her father’s. During a 3 month leave of absence, she goes back to the family home she left when she was 18, to fix it and try to finally resolve the mystery of her sister’s disappearance that has poisoned all her life. What will she discover on the island? Will police Chief McWhorter be able to help after so many years, or his son Ethan, or her strange neighbor Walter? And then, more girls disappear… I enjoyed particularly the awesome descriptions of the ocean (its beauty but also its dangers — tidal currents, sand bars, tunnels, cf Edgar Poe and Annabel Lee!) and the scenes of suspense. Having translated several books by Crosby, I can say I’m a fan at how she manages to convey spookiness. The author has also a knack for exploring the psyche of her characters and for creating very vivid true to life dialogs. The book is particularly fantastic if you enjoy stories about dysfunctional families.